I’ll be honest, reading the inside of the jacket for these books and learning about the authors makes me anxious to crack open both of these novels and drink up the text of these fiction novels driven by history and struggle. Anyone who wins these books will be incredibly lucky. Outstanding maritime action sequences are the high points of McCain’s otherwise naïve-feeling debut. Max Brekendorf, a young German naval officer during WWII, serves on a battleship in the Atlantic, a merchant raider in the Indian Ocean and, after being adrift in a lifeboat and a convalescence in Paris, he volunteers for the U-boat force. As the war wears on, the navy, an institution that once forbade officers from joining political parties, becomes overrun with Nazi loyalists, creating tensions on Max’s submarine that will eventually force him to choose between his moral sense and party directives. Unfortunately, the numerous good German/bad German scenes sustaining this uncomfortable premise are clownish at best. However, the action sequences are undeniably stunning, and McCain is no slouch with details, such as a ship’s teakwood deck planks (which don’t splinter when hit by shells) or the smell of petroleum in a submarine that permeated even the canned food. 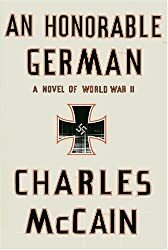 Fans of naval fiction couldn’t ask for more authentic action, even if the novel falls short of its ambitions to salvage the reputation of the German navy. Review is Copyright © Reed Business Information, a division of Reed Elsevier Inc. All rights reserved. This fictional account of imprisonment and escape from the Gulag brings the horrors of Stalin’s reign of terror to vivid life. A highly decorated infantry captain is unjustly charged with treason, tortured, and sentenced to 25 years of labor that he knows he will never survive. He befriends three other desperate prisoners, and together they plot to elude months of agony and certain death in the camp. They are aided in their escape by the camp’s chief medical orderly, a native Siberian whose knowledge of native customs, the local topography, and healing and survival techniques enable the men to make slow progress by reindeer-drawn sled and on foot across the forbidding Arctic terrain. After 18 months of grueling travel, their passage to freedom in Alaska is jeopardized when the Soviets unleash an artillery bombardment in a last ditch effort to halt their race across the frozen Bering Strait. 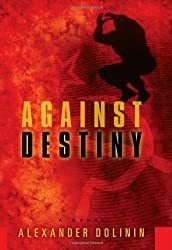 This entry was posted in Authors and tagged giveaway on June 2, 2011 by Mario Lurig. I would love to read these great books. Thanks for the chance!